1. 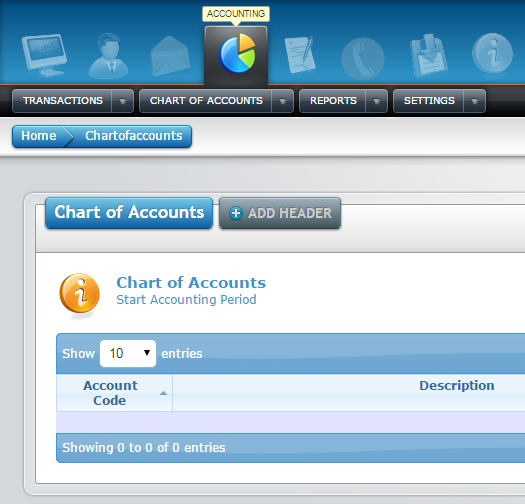 To access accounting module, click on Accounting link in the above module icons. 4. 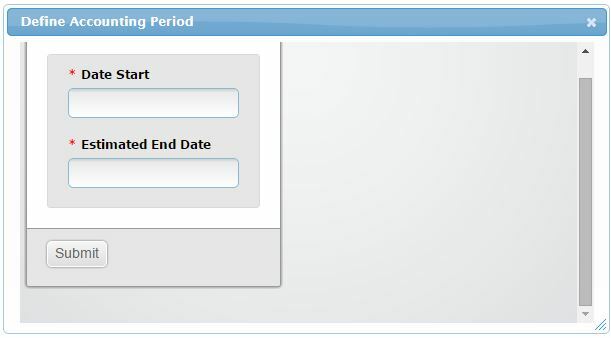 Select start and end date of “Accounting Period”. Note: End date is an estimated date. You may need more time to make changes before closing you “Accounting Period”. 5. Please enter the required information and click the Submit button to set your “accounting period”. Salmah is the author of this solution article.